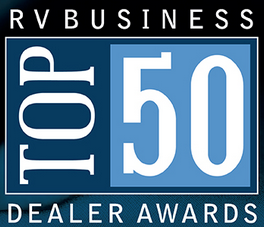 Hartville RV Center is honored to be named by RV Business Magazine as one of the Top 50 Dealers in North America FOR THE THIRD YEAR IN A ROW! This year we are especially honored to be named one of the Five Blue Ribbon Honorees! Click here to read the RV Business Magazine article. RV Business Magazine asks RV Manufacturers across the United States and Canada to nominate dealers who exemplify best practices and excellence in their field. Chosen by an independent panel of industry experts, the Top 50 Dealers excel in such areas as customer service and statisfaction, employee training and education, financial planning, and property management. SPRING IS HERE, CAMPING SEASON IS AROUND THE CORNER! Spring is starting to come through which means warmer weather and nicer days. 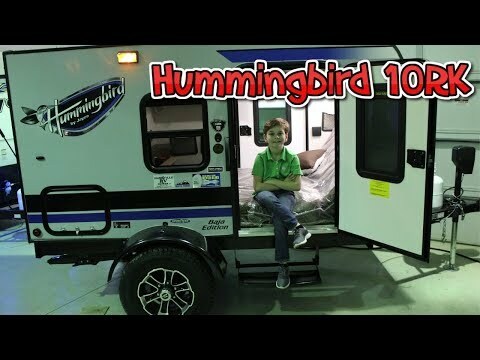 Come check out our selection of new and pre-owned campers to make your summer adventures great! If you have a camper now do not forget to do your spring preventative maintenance to get it ready for your camping season. If you need help with that do not forget we have a great service department that can check it over for you. Do not forget about our parts department that can help you get camping ready! With spring time brings our spring/summer hours with two late nights to better help you find your dream camper! New Job Opportunities here at Hartville RV Center! Check our News section on this new postion for more information. Meet Jayco's newest toy hauler the Talon! Packed with features typically not found on other toy hauler fifth wheels in its price range, the Talon is the perfect fit for the adventurer or extreme sport enthusiast alike! This new fifth wheel features a 13-foot garage (industry leading garage space in this price point) with D-rings mounted to steel frame supports, a 21-foot power awning covering both entry doors and finished with LED lighting, a fully-painted front cap with clear coat making it more resistant to fading and chalking and heated and enclosed tanks. And of course, it is backed by Jayco's industry leading 2-year warranty! 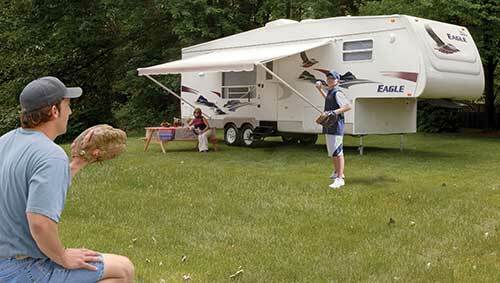 Our Ohio RV dealership has been family owned and operated for almost 50 years. Founded by John & Nancy Pastore, we have become the area's most respected Ohio RV dealership specializing in Jayco travel trailers, pop-ups, and fifth wheels; as well as KZ Spree, Connect, and Escape travel trailers, KZ Durango and Durango Gold fifth wheels, KZ Venom and Sidewinder toy haulers, and our newest line - Vintage Cruisers. Operated daily by sons Jeff and Bob Pastore, along with their highly experienced and well-trained RV team, you will soon see what sets us apart. We invite you to browse our website which reflects the new renovations that have taken place at the dealership. Please sign up for exclusive e-mail offers, and when a unit catches your eye, feel free to contact our Ohio RV dealership, or stop in for a fresh cup of coffee, and see what all the buzz is about. Your drive will be well worth the time. Stark, Wayne, Summit, Portage, Holmes, Columbiana, Carroll, Tuscarawas, and Coshocton Counties; although we welcome and service all counties and surrounding states. Please stop in or call to see why 1,000's of customers for over 40 years have turned to Hartville RV Center for all their RVing needs.